Looking south from the same (Minnesota Avenue) bridge, things are a bit more recognizable. 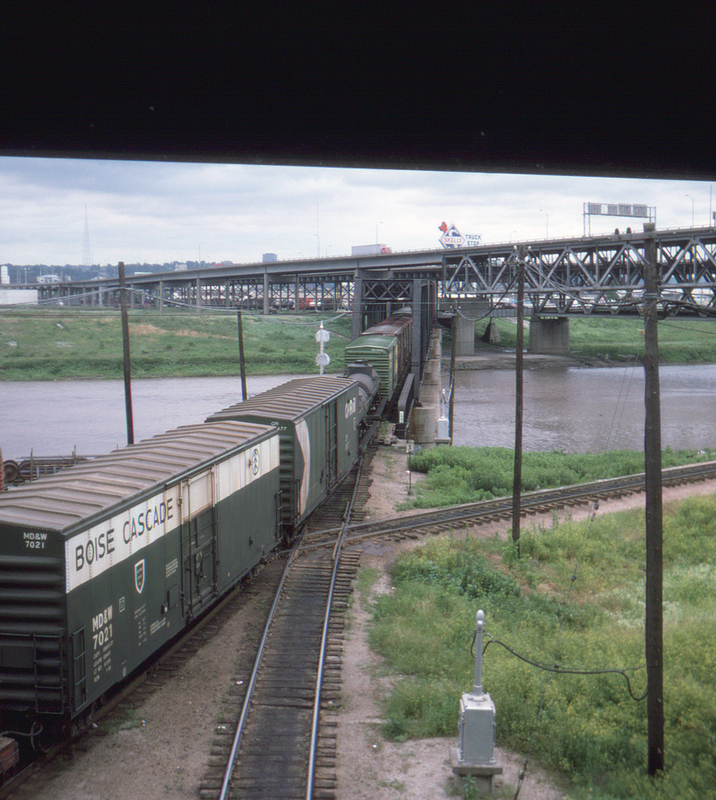 That's the Kansas River in the center, with a Missouri Pacific freight crossing the river and the Union Pacific in the foreground. Just across the river is Kaw Point Junction. The large highway bridge in the background is US I-70 today, although at the time it had apparently not yet become part of the Interstate Highway System.